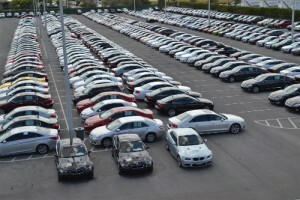 Why OffLeaseOnly IS the Nation's Used Car Destination! 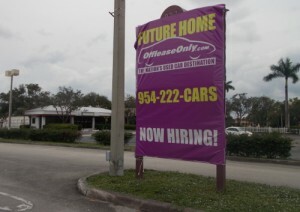 A sign announcing the future home of OffLeaseOnly Fort Lauderdale is posted outside the property at 827 S. State Road 7, North Lauderdale, FL. 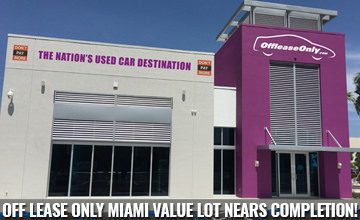 OffLeaseOnly offers a gigantic and record-breaking used car inventory of more than 4,000 quality OffLeaseOnly used cars, a number that will eventually jump to 5,000 OffLeaseOnly used cars for sale when OffLeaseOnly Fort Lauderdale opens for business soon. This massive amount of OffLeaseOnly used cars gives our customers a magnificent selection of quality used cars for sale with the simple click of a mouse! 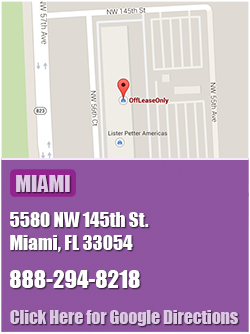 When OffLeaseOnly Fort Lauderdale opens for business, Off Lease Only will have used car dealerships in Lake Worth, Miami, Fort Lauderdale, Orlando and West Palm Beach. But that’s not all! Plans are underway to open another used car dealership in Tampa in 2016. OffLeaseOnly used cars are priced so reasonably that the company has used cars in every state, 86 countries and six of the seven continents. Now that’s amazing! OffLeaseOnly used cars for sale are parked in endless rows outside an OffLeaseOnly dealership. At OffLeaseOnly there are NO HIDDEN FEES, no haggling over price and no pressure! Those are the keys to OffLeaseOnly’s success. It’s easy for OffLeaseOnly customers to feel secure buying an OffLeaseOnly used car because OffLeaseOnly discloses everything it knows about its used cars for sale. If we find out an OffLeaseOnly used car has been in an accident, we disclose it! OffLeaseOnly also allows customers take the used car of their choice for a test drive – alone! In addition, OffleaseOnly encourages customers to take their used car to a local mechanic of THEIR choice before sealing the deal. Car buyers can also check out the complimentary CARFAX report we provide with every OffLeaseOnly used car for sale. 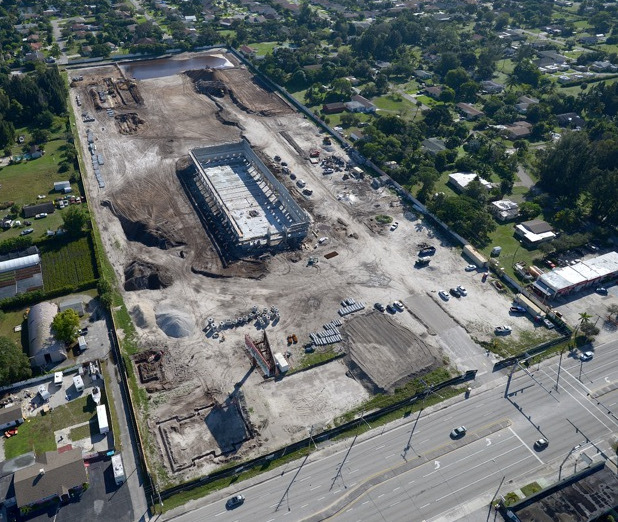 OffleaseOnly’s huge new Palm Beach dealership is rising from the ground at a remarkable rate! Drive by 1200 S. Congress Avenue in Palm Springs and watch as workers erect the concrete block for the huge structure’s second floor. This stunning new used car dealership will be OffLeaseOnly’s first custom-built location. Located on the east side of Congress Avenue on an approximate 15-acre parcel, the site will be home to a 39,256-square-foot used car dealership and two separate out parcels that will include a 2,000-square-foot restaurant and 6,000 square feet of retail. The Palm Springs Village Council called the used car dealership site plan “genius” when it gave the official go-ahead for the project. The huge used car dealership will be the jewel of the OffLeaseOnly used car dealership chain. 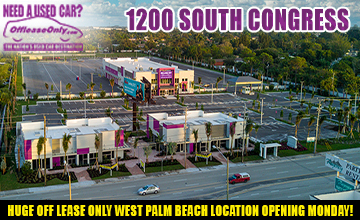 Off Lease Only’s huge new Palm Beach dealership is under construction at 1200 S. Congress Avenue. OffLeaseOnly’s 100,000th customer Hugo Trujillo-Penagos and his wife pose with their 2014 used Ford Focus, OffLeaseOnly’s 100,000th used car sold. The couple received a gift basket, gift cards and a full tank of gas in celebration. Quality, transparency, convenience and choice are what Fischer and his wife Eileen offer thousands of customers every day. OffLeaseOnly has served more than 100,000 used car customers and the numbers just keep growing! Satisfied OffLeaseOnly customers LOVE to talk about their used car buying experiences and the OffLeaseOnly website contains thousands of testimonial videos of happy OffLeaseOnly customers talking about their great used car buying experiences. OffLeaseOnly receives more thousands of positive customer reviews a month that are posted to online review sites such as DealerRater, Better Business Bureau, Google, Yelp, Consumer Affairs, Edmunds and Cars.com. The huge number of positive OffLeaseOnly reviews has created a powerful tool for consumers to evaluate customer satisfaction before visiting. The overwhelmingly positive slant of the OffLeaseOnly reviews has established a solid and respectable online reputation for Off Lease Only and has become a great source of customer leads. OffLeaseOnly used cars are lined up as far as the eye can see outside an OffLeaseOnly dealership. For the second year in a row, OffLeaseOnly has been named Capital One Auto Finance’s No. 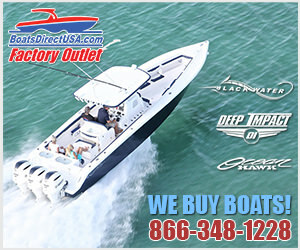 1 dealer, beating 16,000 other dealerships nationwide. OffLeaseOnly issues more prime and subprime auto loans than any other single dealer in the country. OffLeaseOnly does business with more than 20 lenders, making it easy to finance your OffLeaseOnly used car! Best of all, our banks compete really hard to earn our customers business which means the very best car financing options. Want to protect your investment? OffLeaseOnly makes it easy with affordable Extended Service Agreements available up to seven years/150,000 miles from the date of purchase. 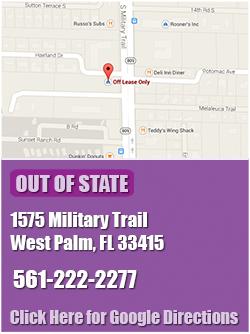 At OffLeaseOnly, peace of mind is easy, affordable and convenient. Need a quality used car? 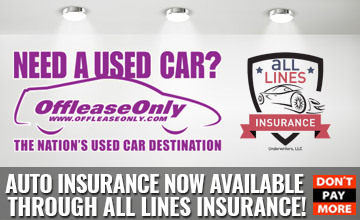 OffLeaseOnly, the Nation’s Used Car Destination is the ONLY place to shop! 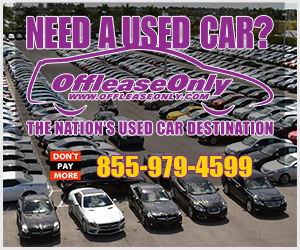 Check out OffLeaseOnly’s incredible inventory of 4,000+ used cars for sale by logging onto www.offleaseonly.com and browsing our massive selection of used cars from the comfort of your home computer. If you find a used car you like, apply online for financing, then stop by one of our convenient dealerships to take a test drive. Your dream car is just a mouse click away! Until our newest dealership in Fort Lauderdale opens, stop by one of our existing stores in Palm Beach, Miami and Orlando to check out our incredible used car inventory! Then drive home the perfect used car at the perfect price. ← Previous Story Protect Your OffLeaseOnly Used Car! 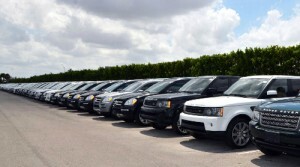 Next Story → Off Lease Only Orlando Sells 1,056 Used Cars!